I booked a semi-intensive LD course with Alan, which he kindly scheduled to fit around my 9-5 job in Nottingham City Centre. I passed my test first time after the two-week course, having never previously had a driving lesson. I was out driving my own car with confidence in rush hour traffic within hours of passing. 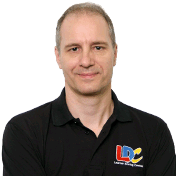 This is a testament to both the LD System, which includes a workbook and DVD to support your practical lessons, and Alan as an instructor, who is patient, experienced and a thoroughly nice chap. 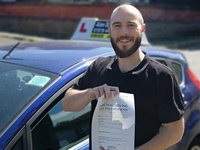 I'm a driving instructor in Ilkeston, Derby, Eastwood, Nottingham, Spondon, Normanton, Stanley, Heanor, Stapleford, Morley, Kimberley, Long Eaton and surrounding areas.